Purple Myrtle Squeegy: Time Teleports! 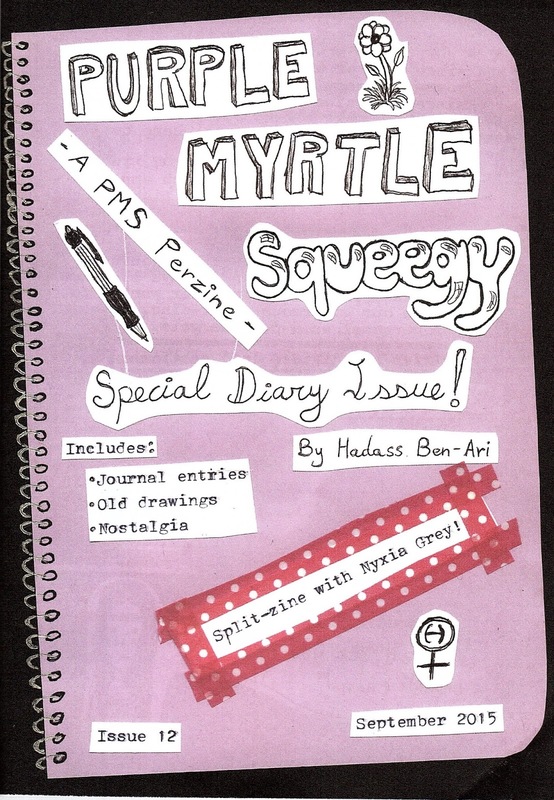 PMS-EIF Split Zine! Time Teleports! 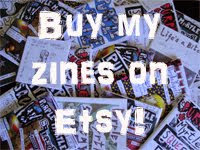 PMS-EIF Split Zine! Nyxia and I banged out another kickass split zine, this time about diaries and journal entries! 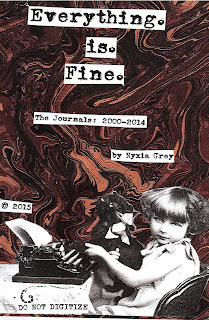 PMS issue 12 and Everything.Is.Fine special issue is jam packed with words of pride, pain and power from our respective diaries. It's as intimate, revealing and personal as a perzine gets. With all the pain and heartache these entries reflect, both parts end on a positive note, with hope for the future. And the best part, it's a full-pounding, heavy-duty, juicy and yummy 80 pages! My part includes entries organized thematically rather than chronologically - evocative and heartbreaking entries about love, depression, seclusion, inspiring and empowering entries about feminism, my love of DIY and more. I also included some of my old drawings and art to visually depict my mindframe of the time, plus a collage of the various covers of my diaries and some quotes from the older ones, in French, Hebrew and English. Nyxia's part includes entries focusing on her relationship with her husband and how it evolved, fell apart, and how they are trying to rebuild it. The eloquence and beautiful flow of her entries build a certain parallel between some tragic events in her life and her love life - such as the death of her father, her eating disorder, etc. Her part also ends on a positive note with hope for a better future for her relationship and her life. 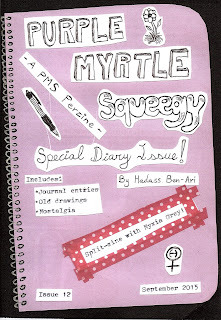 You zinesters and zine-lovers really ought to get your hands on this incredible... what should I call it, book?! Hehe! Check out my Etsy page and pack your cart up with some DIY delight! Here are some teasers for your viewing pleasure.